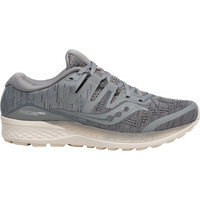 Summary: A cushioned and responsive road running shoe, suitable for runners with a fairly neutral foot strike. Ideal for mid to long distance on roads, parks and towpaths. Replaces Ride 10. 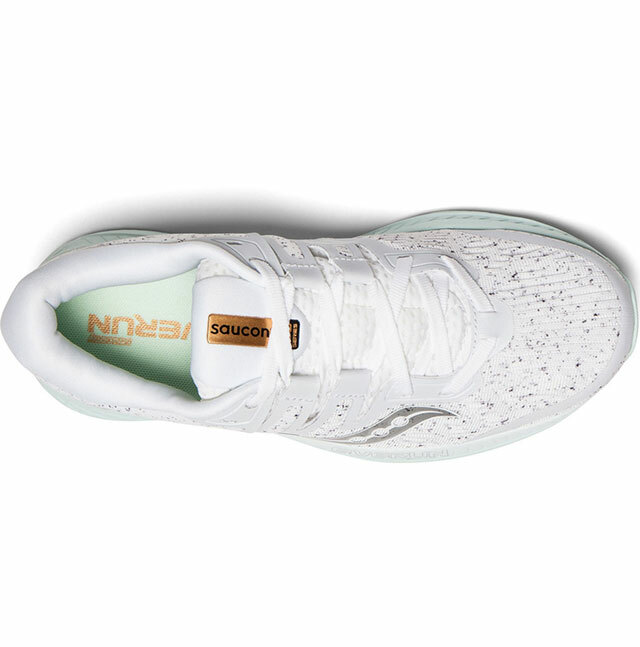 Upper: Engineered mesh upper with ISOFIT (new to the Ride) and FORMFIT systems to provide a personalised fit. 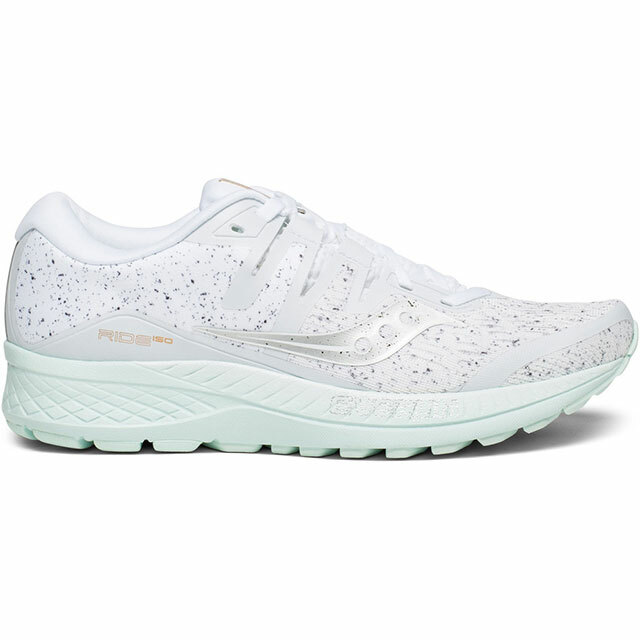 Midsole: PWRFOAM material with top layer of Everun for a combination of impact cushioning and energy return. 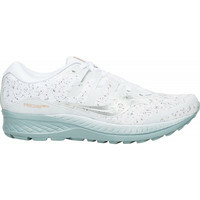 Outersole: TriFlex outersole with repeating flex grooves through the forefoot for full flexibility and a smooth ride. 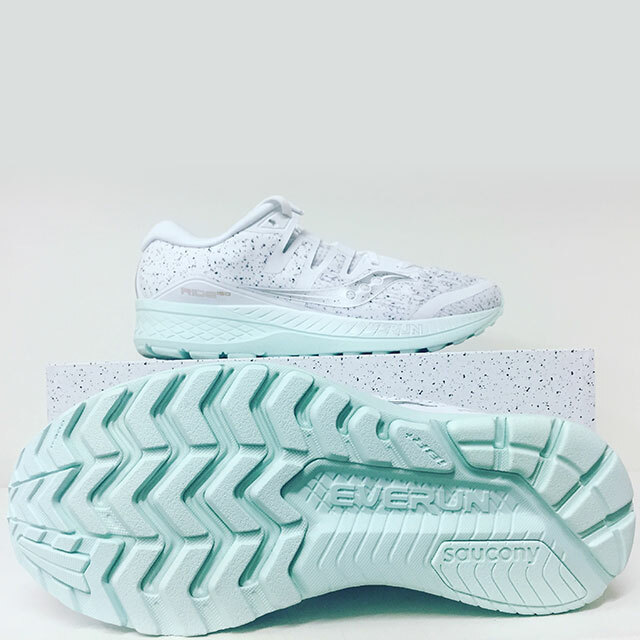 IBR+ rubber outersole for lightweight and durable protection. These felt worn-in on the first run; the smoothness of the transition from landing to toe off is really perfect. 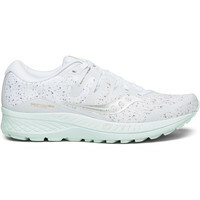 I don’t like an overly cushioned shoe, so I was concerned they might be getting too soft for me. 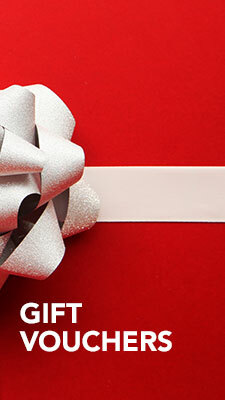 However, although they are undoubtedly soft, the combination of cushion materials gives a good return of energy. 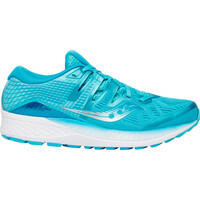 On slower runs I feel the benefit of the cushioning, for tempo runs I get the spring that I’m looking for. 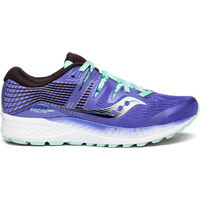 The fit of the uppers is a huge improvement on Ride 10; Saucony has listened to feedback and the toe box is deeper again, so your toes have freedom and don’t feel trapped over the course of a long session. 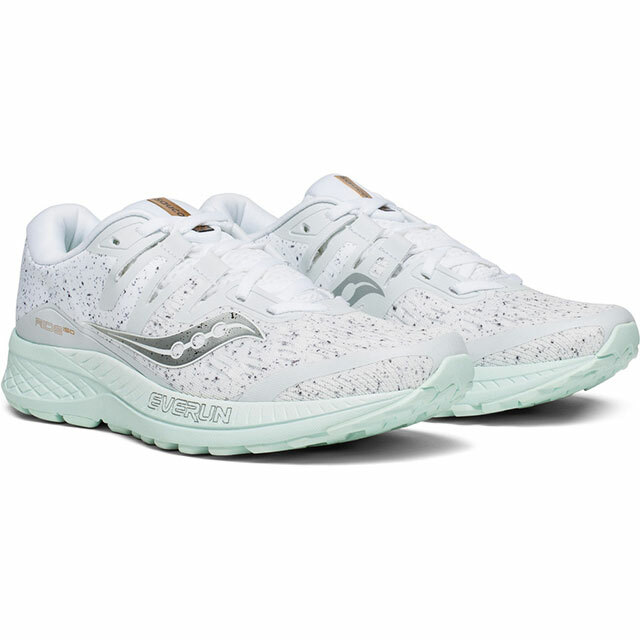 Then you have the Isofit through the midfoot, ensuring a good hold, this adjusts to the width of your feet through the lacing, so narrow or wide this shoe should fit you. The Isofit also gives a neater fit under the foot and arch, which worked really well for me; it also makes the shoe a bit more stable. 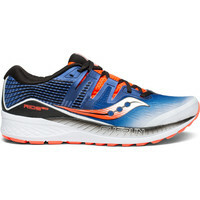 As well cushioned as its predecessor but with a much-improved upper. 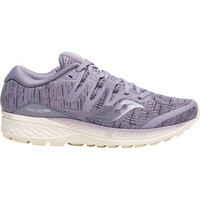 It is a little more naturally stable than Ride 10, which means it should work for those who don’t need an anti-pronation shoe but do need a bit of guidance through the stride. 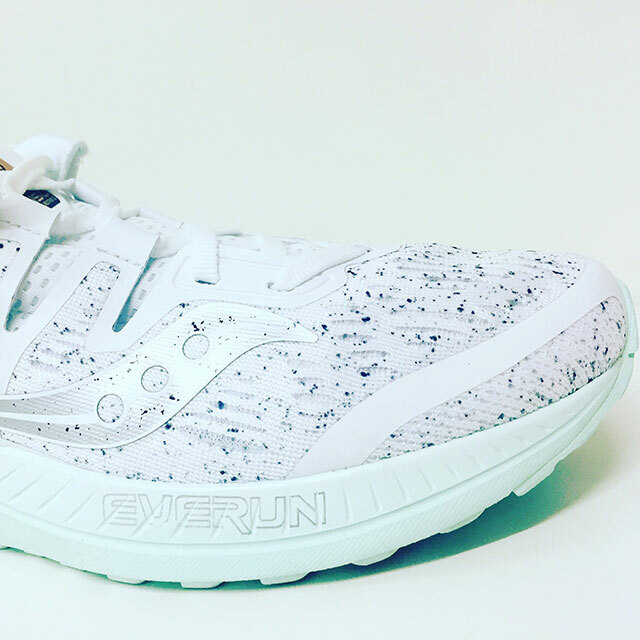 As a long-time Saucony wearer and having worn every version of Ride in the last 5+ years I reckon this is the best model yet.